Team Glow was launched in 2011, the 100th anniversary of International Women’s Day. To celebrate women’s achievements in Manchester we recruited 100 women to cycle the Manchester 100 Sportive Christie Charity ride. We have changed the face of women’s cycling in Greater Manchester and the NW, in fact we have been making social history since then so this years IWD theme of ‘Breaking Through’ is a wonderful fit with our endeavours to bring about greater equality in the world of cycling. Cycling to Suffrage talk and exhibition reminds us of the journey women have travelled to have the freedom we have today and Half the Road film reminds us just how hard it still is for women to have equality in the sport. Our photographic project M’crWomenBike will show us just how many different reasons and in different styles women ride their bike. Given our sense of ordinary people, women, exploring freedom and making social history with and on a bicycle it made absolute sense to make the connection with the People’s History Museum, because still the idea of women cycling is an idea worth fighting for. Modern society has long believed that women hold up half the sky in terms of equality and progression. 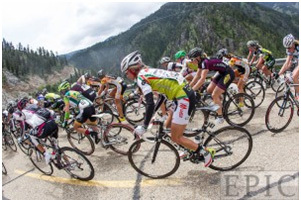 So when it comes to the sport of professional cycling, why aren’t women receiving half the road? Cycling to Suffrage talk and exhibition, Sat 7 March 2015, 1.00pm – 2.00pm. Tickets are free but booking is required via Eventbrite. This entry was posted in Events and tagged Cycling, Events, International Women's Day, Venue Hire, women, Wonder Women. Bookmark the permalink. ← We want your propaganda!